The idea of this painting is very nice. 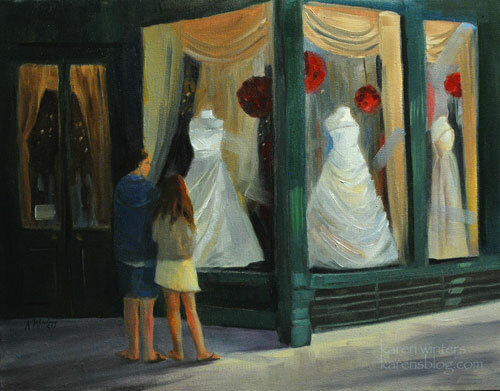 It’s not only about the bridal shop but also the people, who are wondering around it, thinking and planning for their wedding. I really like this painting. It is so good to get the following and also read all of this Seems in my opinion like, providing you do not transfer tunes your current a-ok.